Combine sugar, flour, juice, egg, and butter in heavy saucepan. Cook over medium heat, stirring constantly until smooth and thick. Let cool completely. Fold in whipped cream. 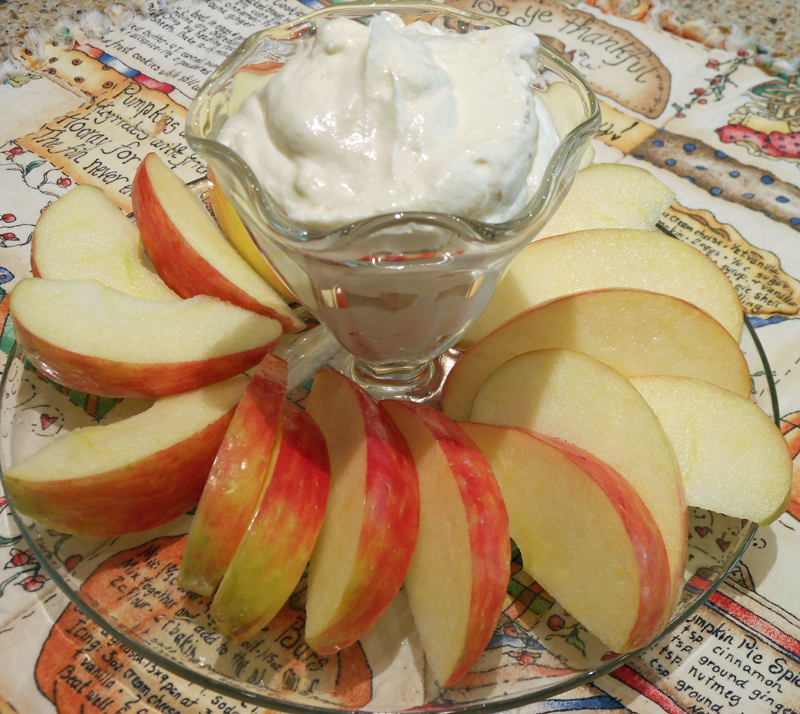 Serve with fresh fruit – especially good with sliced apples. Use 1/2 cup orange juice and 1/2 cup pineapple juice instead of all pineapple juice. Also use 2 cups nondairy whipped topping stead of 1 cup whipped cream.